The plant and machinery for butter production produce a first-class product with great care. 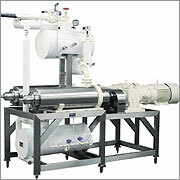 The plant for chilling the butter enables gentle recooling of the product to the desired temperatures, optimising spreadability and packing possibilities. 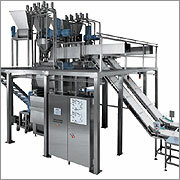 The plant blends the butter homogeneously and continuously conveys the mixed product to the subsequent machines. The plant opens cardboard boxes that have been delivered, loads the butter in automatically and safely and fills the boxes continuously to the precise weight. The plant and machinery for the production of margarine, shortening and spreads provide for high efficiency with low maintenance for top-class results.